Well, after a few weeks of Yoga classes, the great thing about it is that these kinds of responses are still going strong! The classes are imbued with jokes and laughter, as well as with hard work and mindfulness. As you can well imagine, there is much bending over and twisting and lifting of legs, all the while knowing that J. is behind, ready with a comment that would go unrewarded and unsaid in any other setting, but that it is not only allowed but encouraged in this case. Yoga can be fairly serious and solemn, and it was made clear from the beginning that this class should be different. I thank God that we may bring the temple down with laughter! There could not be a better setting for this group, and there is a lot of gratitude, as much from the gathering of wise minds as there is from the teacher. What an opportunity, for me, to teach a group of men in a relaxed and friendly atmosphere, who would otherwise never set foot in a “Yoga” centre. And perhaps this is the most important aspect of what is going on here. 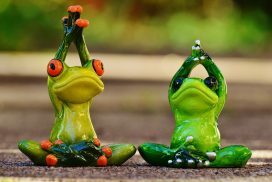 Yes, there are the benefits of stretching and building strength and stability, of calming the mind and bringing a bit of peace in these hectic lives. The most important aspect of this class however is the simple and blessed pleasure that comes from enjoying time spent with friends and of having the guts to begin a new and scary activity at an age when learning is still not only an option but can be a tremendous gift to one’s overall outlook on life. I readily bow to P. and the guys, for their openness and willingness to give it a shot, to risk coming out of their comfort zone and allow greater things to happen. Yes, this is what teaching is all about! 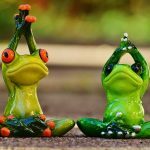 So is Yoga for everyone? Well, perhaps Yoga can be seen as a tool that can be used by everyone. You need to find someone who will help you figure out how to use the tool, and you need to have a project where you will want to use the tool, friends to help you and a willingness to buy the pizza and beer for them afterwards. Building your own playground depends solely on each and every one of us.